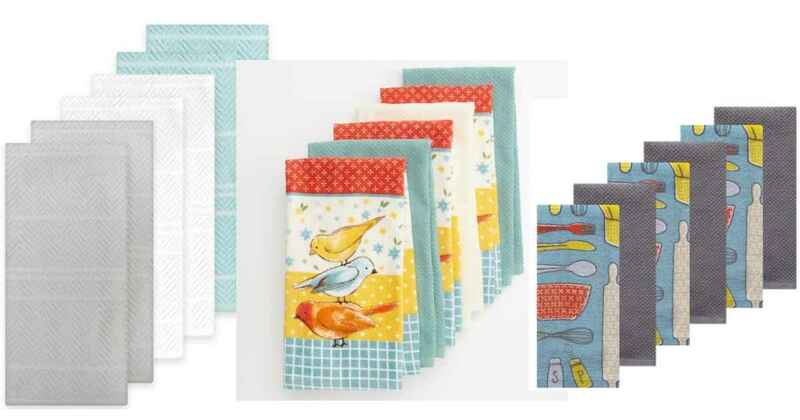 Grab some new kitchen towels with this deal from Kohl’s! They have a bunch of different sets on sale for $9.99 (regularly up to $24.99). Plus, you can get an extra 15% off when you sign-up for Kohl’s text alerts. Text SAVE24 to 56457 to get your unique code good (you’ll receive a welcome text and then a second text with your code). Makes it $8.49 ($1.41 per towel)! This sale is valid for a limited time. My unique code was valid until 5/14. Avoid shipping costs by choosing FREE in-store pickup.